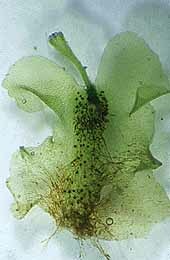 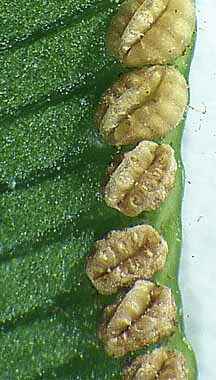 2:2 Marattia fraxinia eusporangiate synangia. 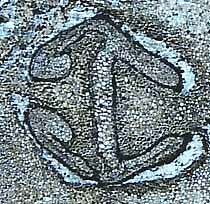 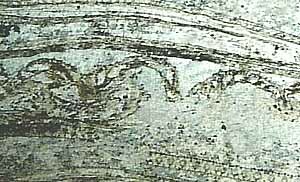 2:3 Marattia synangium in transverse section. 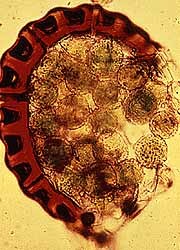 2:4 Leptosporangium; note the annulus and the green spores. 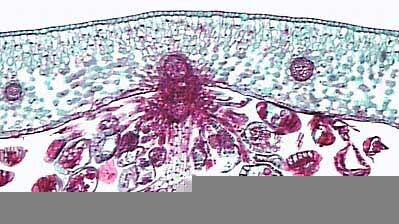 2:5 Cyrtomium sorus in cross section. 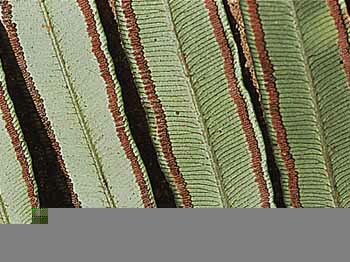 2:6 Pseudosporochnus an early fern representative (see the VPL cladogram). 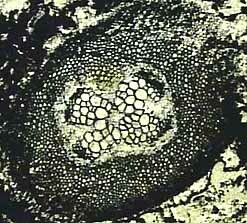 2:9 Psaronius permineralized stem in transverse section. 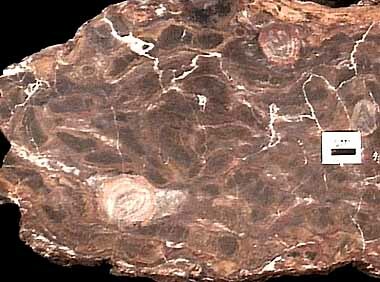 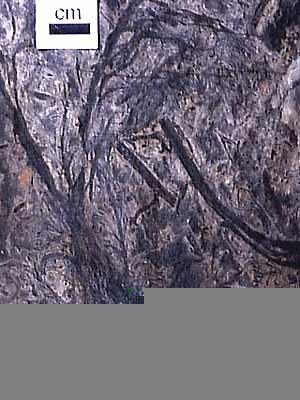 2:10 Psaronius root mantle in transverse section (permineralization). 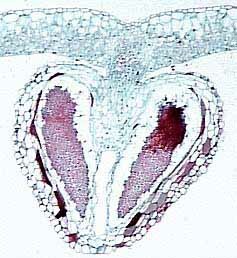 2:13 Pecopteris fertile leaflet in cross section. 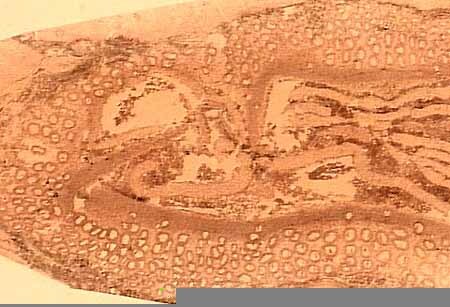 Note dehiscence of sporangia.